Land surrounding Burnt Mountain in Vermont will now be a forest reserve and store carbon to help California meet its greenhouse gas reduction goals. The Nature Conservancy announced on Thursday that 5,400 acres of forested land around Burnt Mountain will be the first Vermont site eligible for California's regulatory compliance market. 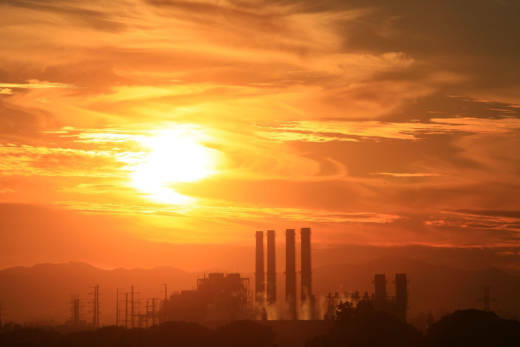 Under the program, California businesses are required to reduce most carbon emissions but also can buy credits to offset their remaining emissions. The organization estimates that the credits will have an approximate value of $2 million over a 10-year period. "We are thinking innovatively about how we can grow our investments in nature," said Jim Shallow, director of strategic conservation initiatives for The Nature Conservancy in Vermont. "The carbon offset program will allow us to put the power of the market to work to protect forests and fight climate change." The forest is located across five northern Vermont towns. Previously the forest was part of a 26,000-acre holding by the Vermont Land Trust and The Nature Conservancy. In 2016 the two groups began separating the holding into 12 parcels, the majority of which will be working forestland for logging and maple syrup production. The Nature Conservancy bought the Vermont Land Trust's half-interest for the Burnt Mountain forest. The Burnt Mountain forest is located near state parks, privately owned conserved lands and Vermont's Long Trail, creating an 11,000-acre parcel on preserved land. The Nature Conservancy plans to keep the site open for non-motorized recreation activities.